ARE YOU AN ‘OPEN’ OR ‘CLOSED’ SKIER? 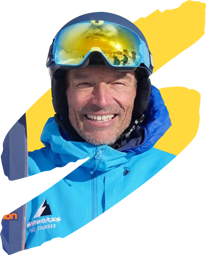 Phil Smith from Snoworks Ski Courses discusses the nature of skiing and why thousands, if not millions of skiers around the world develop learning plateaus, unable to progress no matter how many times they sign up for ski school? What are ‘Open’ and ‘Closed’ sports? ‘Closed’ sports are where the environment does not change such as running in lanes, swimming in lanes, javelin throwing, discuss, hammer etc. ‘Open’ sports are where the environment is constantly changing such as football, rugby, tennis, sailing, surfing etc. Is Skiing ‘Open’ or ‘Closed’? Skiing is probably one of the most ‘open’ and dynamic sports there is, yet somewhat alarmingly, much of the ski teaching industry has built its understanding and foundations of skiing and teaching skiing on ‘closed’ sports methodology. It’s why there are so many different systems and ways of learning to ski depending on the country you go to for your holidays. Many skiers have become trapped in this ‘closed’ sports methodology and hence are limited to indeed where the environment is more ‘closed’, well groomed pistes. For a huge amount of skiers this limit is pisted reds and maybe easy blacks and that’s where it stops. the limits is where the terrain becomes more ‘open’. Bumps, ice, steeper terrain and powder, even bad visibility. It’s known as the classic intermediate plateau and matches where the terrain moves from ‘closed’ to ‘open’. Are you a closed skier? Statements such as these below demonstrate a ‘closed’ approach to skiing. Do you find yourself saying any (or all) of these? Are you what we call a ‘VARIABLES VICTIM’? In other words do you need the environment ‘closed’. – Other skiers put me off, I need open slopes. Each statement above has a variable attached to it; slope steepens, hazards appear, visibility changes, snow texture varies, other skiers get close or speed increases. If any of these statements ring true, then it’s time to go ‘open’, because if you have learned a ‘closed’ method of skiing, you will always be a victim of skiing variables! To clarify the difference between ‘open’ and ‘closed’, it’s useful to understand the difference between why we have been taught to learn these methods in the first place. When learning skills for ‘closed’ sports, the movements tend to be repetitive, there’s a start and finish to each movement pattern, like throwing a javelin – where the movement pattern can be described accurately. When learning skills for ‘open’ sports there’s no start or finish to the movement patterns, they have to be continually adapted to the changing environment. Of course skiing is a sport that begins in a ‘closed’ environment; well groomed nursery slopes and pistes but eventually goes ‘open’; bumps, steeper terrain, ice and powder. Hence the confusion. Starting closed and moving into open. A simply analogy I constantly use, would be trying to describe (and then teach) the movement patterns of running through a crowded bar carrying a tray of drinks! To accurately describe what is happening and how to copy it is impossible – the probability of the same thing happening again exactly is like winning the lottery twice. Set movement patterns would only work if you ran through the bar where each time everyone and everything always stayed in the same place. But of course, this would never happen; more people may have arrived, creating more obstacles, the furniture may have moved and the floor may be more slippery. The variables are infinite. To understand if you have been taught ‘closed’ skill methodology. See if any of these phrases sound familiar? All the above are statements describing ‘closed’ techniques. There is no consideration to the variables. By practicing any of the above, you will simply end up at a plateau when performance doesn’t match the variable. It’s a vicious circle. How do you go open? Instead of learning set movement, you need a toolbox of skills which the subconscious can then employ instinctively, adjusting to the terrain automatically without having to rely on repetitive conscious thought, trying (and failing) to keep up with the changing environment. The subconscious will vary the movements according to your task. Just like running through a crowded bar carrying a tray of drinks. You’ll notice none of the above state what to do such as ‘stand up and sink down’ or ‘face down hill’. They are skills that can be constantly adjusted depending on your task. Learning ‘open’ skills will enable you to develop your skiing much further and much faster than you would have thought possible. Learning ‘open’ skills gives you total independence, connecting you with the snow, terrain and the whole mountain environment. Learning to ski ‘open’ may sound rather scientific and intense. At the very beginning, this may be true because you’ll no longer be told exactly what to do. You’ll learn skills that you can adjust according to your task so it may all sound a bit, could I say ‘open’ to begin with. However learning ‘open’ skiing comes with a warning: you’ll wish you’d discovered it years ago. Skills learning for ‘open’ environments is the Snoworks philosophy. Enjoying what you’re reading? Sign up to get notified when we publish news posts, new courses and exclusive offers. Clicking Sign up Now is the first step of a two step verification process. You will recieve an email asking you to complete the process before we can begin to send you emails.